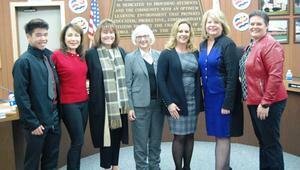 The El Segundo Unified School District held a swearing-in ceremony for its newly-elected Board of Education (BOE) members on December 11, 2018. Three of the five BOE seats were up for election during the November 6, 2018 midterm general election. Current Board members Nancy L. Cobb and Jeanie M. Nishime have two more years of service remaining on their four-year terms. 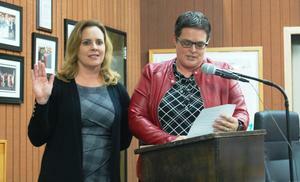 Incumbent Emilee M. Layne was re-elected to second term. 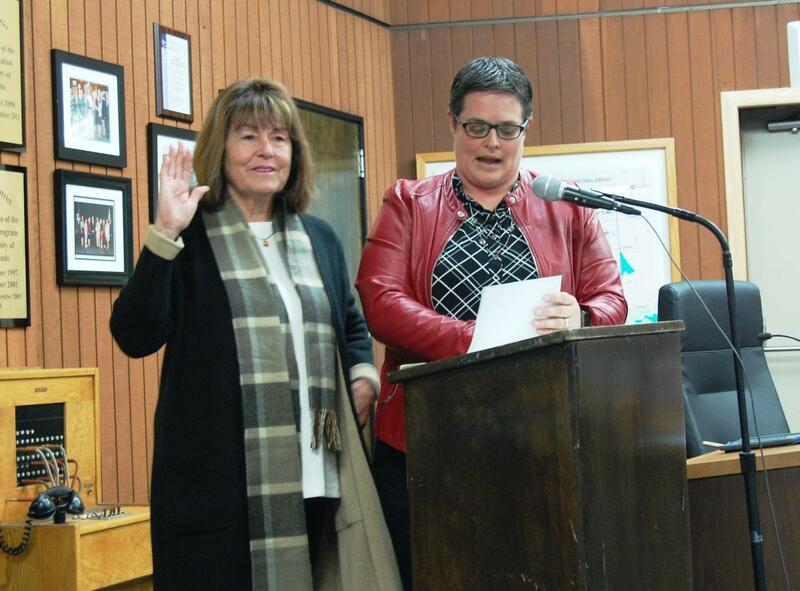 With the election of new Board members Paulette B. Caudill and Tracey I. Miller-Zarneke, the District has all five seats filled on its Board. As part of its annual organizational meeting on Dec. 11, 2018, the Board of Trustees also elected officers. 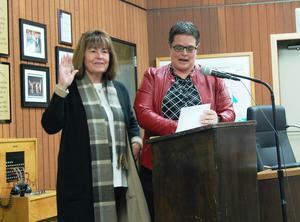 Nancy Cobb was elected president, Jeanie Nishime was elected vice president, and Tracey Miller-Zarneke will serve as clerk. Nancy Cobb has pursued careers in both education and business. As an English teacher at El Segundo High School from 1998-2010, she served as Department Chair and Leadership Chair, leading the WASC team to obtain a six-year clear accreditation in 2009. She was twice recognized as ESHS’s Teacher of the Year and once as the District’s. In addition, El Camino College acknowledged her as a Distinguished Woman, and PTA presented her with their Very Special Person Award and Continuing Service Award. She is a strong advocate of a Professional Learning Community that includes all stakeholders and embraces a continuous cycle of improvement. Prior to her tenure at El Segundo High School, Nancy owned and operated an executive search firm in El Segundo. She took an active role in the business community, serving as president of the Chamber of Commerce, Rotary, and Business and Professional Women. She spearheaded the effort to retain the Los Angeles Air Force Base and co-founded Leadership El Segundo. 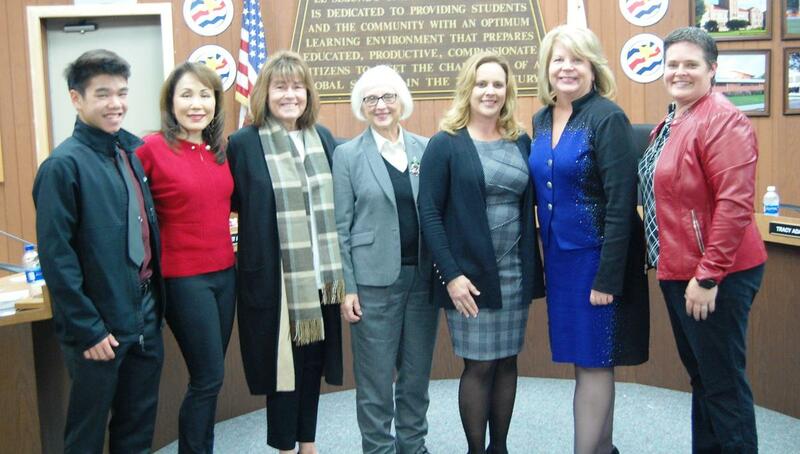 After retiring from teaching, Nancy wrote grants to obtain funding for ESUSD and developed and facilitated the Teacher Externship program to build bridges and partnerships between the classroom and the workplace. Nancy grew up on a farm in Illinois and graduated from Knox College in Galesburg. She began her teaching career at Santa Monica High School, and attended UCLA to complete her California Teaching Credential. Subsequently, she earned a Master of Arts from Chapman University and her National Board Certification. Nancy’s two children, Lori and Greg, attended El Segundo schools, and now one of her five grandchildren goes to kindergarten here. She and her partner Jeff travel frequently both to explore and to keep in touch with extended family. Dr. Jeanie Nishime has committed her career to ensuring student attainment of their educational goals for well over 30 years. Dr. Nishime's career has been focused primarily on the community college level. Dr. Nishime began her career at Fullerton College in a classified position as the EOPS Peer Counseling Coordinator. She then became a counselor and teacher at Fullerton College. Dr. Nishime also served as the Dean of Counseling for 15 years at Riverside and Pasadena City Colleges. She is recently retired after serving as the Vice President for Student and Community Advancement at El Camino College for 10 years. Jeanie received her Ed.D. in Institutional Management from Pepperdine University, an MS in Counseling from California State University, Long Beach and her BS in Psychology from Point Loma College in San Diego. She has been extensively involved in various professional organizations within the California Community Colleges and currently serves on the Board of Directors for the Association of California Community College Administrators (ACCCA). In 2009, she received the ACCCA Volunteer of the Year award. Born and raised in Japan, but educated in English, Jeanie has traveled extensively in Europe and Asia. She has a great interest in culture and international education. Jeanie is married to Spence Bauer and has three stepchildren who graduated from the El Segundo Unified School District and two of her own children who are both graduates of San Diego State University. Jeanie’s experience with her five children and the thousands who come through the community colleges has strengthened her resolve to help all students receive the educational support they need to be successful in both their college and career pursuits. For a decade prior to her term on the Board of Education, Tracey Miller-Zarneke served our school community in a number of leadership roles including PTA President and School Site Council President (CSS); Program Chair for Character Counts and Grades of Green (CSS); Chairperson for Parents on Campus (ESMS); and Parliamentarian for the El Segundo District PTA Council. She played a key role in bringing Green Ribbon accreditation to CSS; earned PTA Honorary Service Awards at both CSS and ESMS, as well as a Continuing Service Award at CSS; served on the district level Technology Committee; and has held long-standing membership in the Superintendent’s Roundtable through the El Segundo Education Foundation. Tracey was born in New Jersey but happily relocated to California as a child when her family had enough of the East Coast winter weather. She became a GATE/Honors/AP student in the Garden Grove Unified School District and later attended UCLA where she earned a Bachelor of Arts degree in English/American Studies. On the professional path, Tracey’s career began in the field of public relations and later shifted into animation production. In the last decade, her role has been balanced between the two realms as a published author of twelve “art of” books in support of various animated films; co-author of the historical Before Ever After: The Lost Lectures of Walt Disney’s Animation Studio; editorial advisor on Directing for Animation; and technical editor on the second and third editions of the textbook Producing Animation. Tracey is grateful for being a resident of El Segundo since 1997. She and her husband Mike have two sons that are ESUSD students—Joshua (Class of 2022) and Ryan (Class of 2025). Together they enjoy world travel, great meals shared with family and friends, and coaching, participating in and/or cheering on youth sports. Emilee Layne was born and raised in Poway, California and graduated from Brigham Young University. While at college, she met and married her husband, Scott. They have three children: Wyatt, Jake, and Abigail. After graduating in 2000, Emilee and Scott moved to Scott’s hometown of El Segundo. Here, they both began working for the family construction company, C. C. Layne & Sons Inc., which has been in El Segundo since 1959. In 2010, Emilee started the janitorial company, El Segundo Commercial Pro. Emilee has served as PTA President, Parliamentarian and was on School Site Council at Center Street School. She was also awarded PTA’s Honorary Service award in 2011. Emilee is an active member of the Church of Jesus Christ of Latter Day Saints and enjoys serving within her local congregation. She and her family are outdoor enthusiasts who enjoy participating in sports, camping and motorcycle riding. 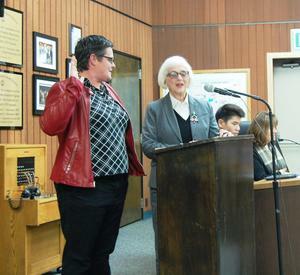 Serving as a member of the School Board is the next step for Emilee to be able to help preserve and enhance the award-winning school system that is the El Segundo Unified School District. Paulette was born in Bozeman, Montana, and moved to Manhattan Beach, California, with her parents and younger brother at the age of three. She graduated from Aviation High School and Dominguez Hills University with a degree in history. She earned her Teaching Credential from California State University, Los Angeles. She has lived in town since 1974, and her son graduated from ESHS. As a parent, she served in PTA, becoming Council VP, and was awarded the Very Special Person Award. She was active in Little League and Boy Scouts. Also, she has been a member of ROAD (Reach Out Against Drugs) since its inception and currently serves as president. Paulette Caudill spent 20 years at El Segundo High School teaching both Special Education and College Prep History. She has a master’s degree in both Special Education and School Administration. Prior to ESHS, she taught for fourteen years in Downey Unified School District. Over the course of her 34 years of teaching, she taught all grade levels K-12, adult school, and graduate school. She mentored teachers for many years and served as ES Teacher Association President, as History Department Chair, and as Co-Chair of the high school Leadership Team.